AS220 is a non-profit arts organization in Providence Rhode Island. They offer a wide variety of programs in visual, performing, and other forms of art. I created the following poster to convey all of what AS220 does on one small surface. 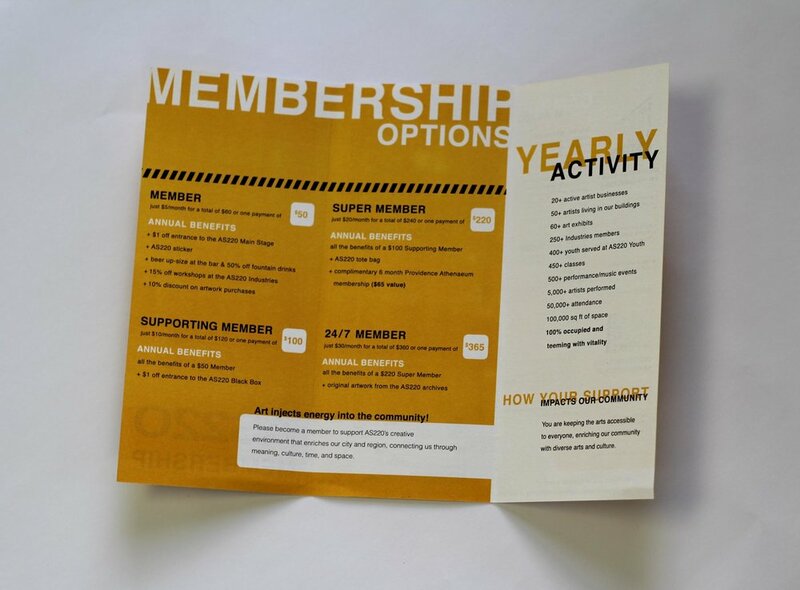 The organization was also in need of a professional, clean, and informative brochure to attract members for its many programs. 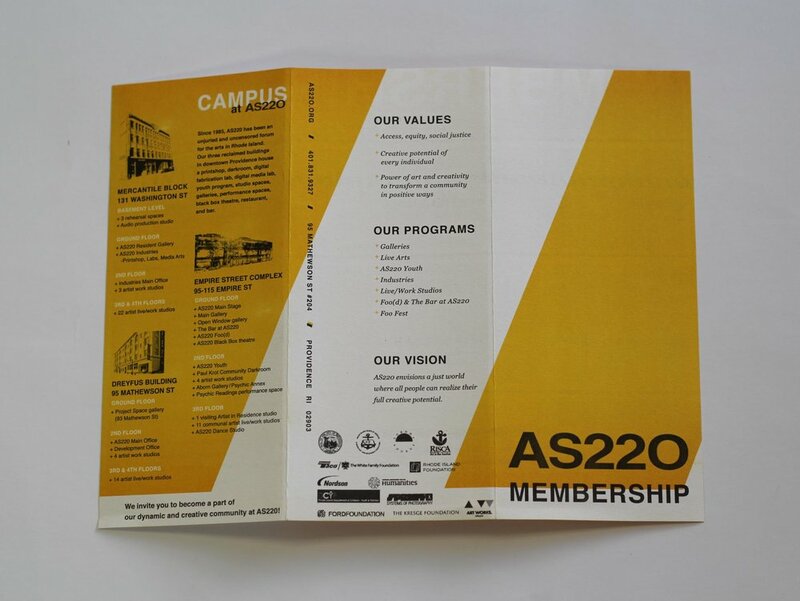 I designed this brochure and worked with their in-house offset printer to produce them. 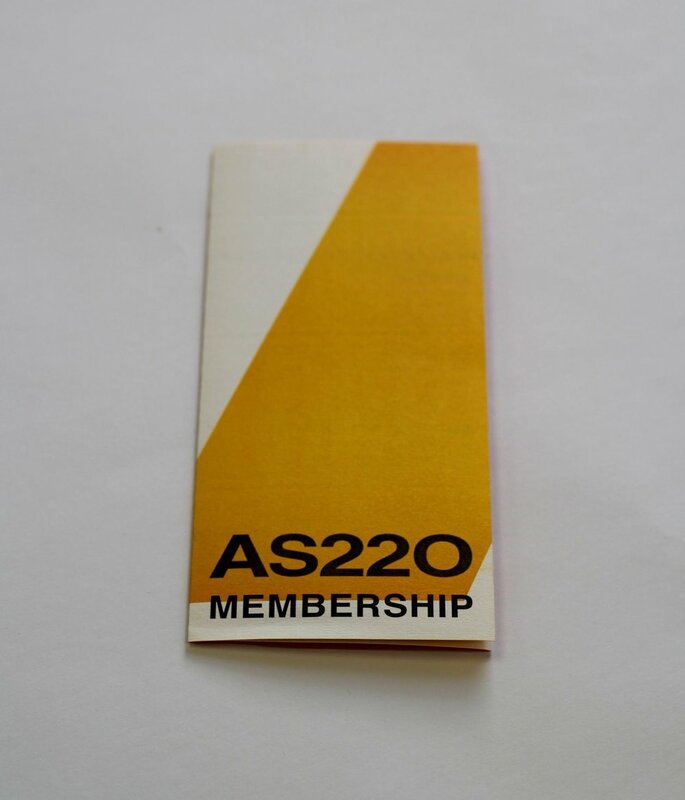 The Print Lottery is AS220's annual fundraiser for The AS220 Printshop. I created this poster to advertise the Print Lottery's events to the public. I wanted to highlight the equipment that is available for use in the printshop and give a nod to the CMYK printing process. The poster was offset printed. 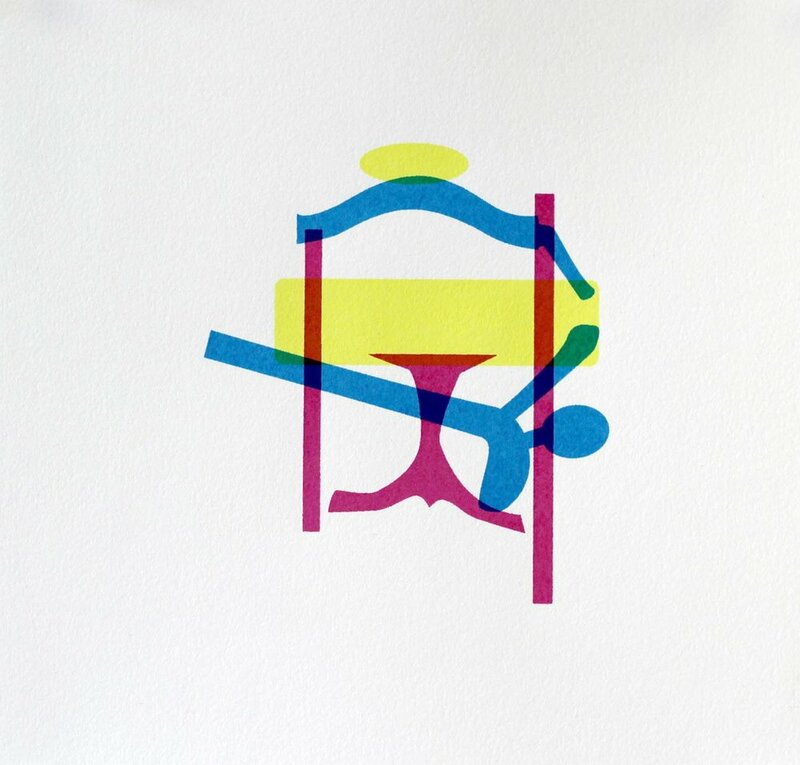 The following print series were screen printed and sold as part of the fundraiser.